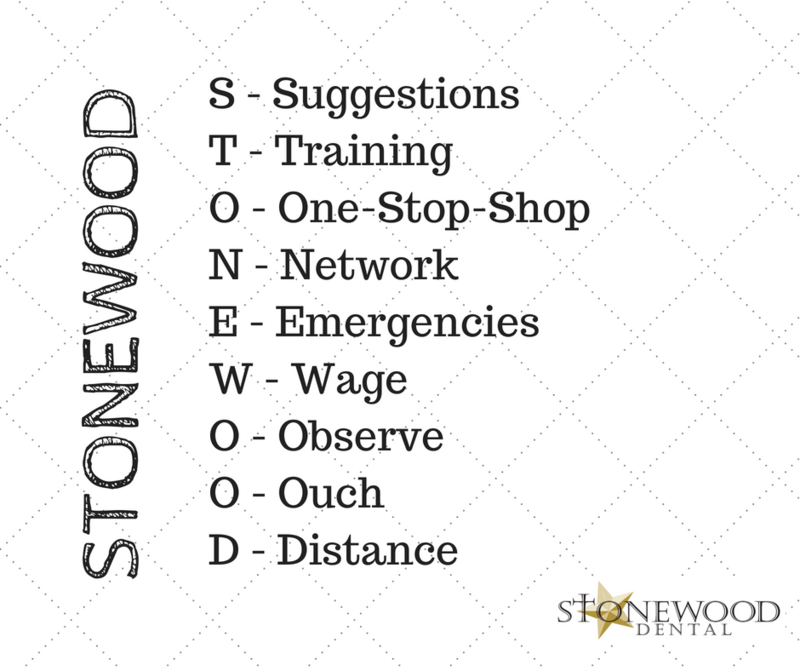 Stonewood’s philosophy of preventative dentistry is the key message of the marketing campaign. In social media posts, videos, and ads, we continually stress the need for two annual dental cleanings to prevent potential problems areas and hopefully emergencies. A recent campaign focused on bringing in new patients, and we are tracking ahead in numbers. The goal of the search engine optimization campaign is to be found on page one of an internet search. The page one results we want include the Stonewood website, Stonewood’s robust Yelp listing, videos and/or social media accounts. Each month we create new content by either interviewing a staff member or researching dental trends and write and post a blog, which, of course, is also optimized each for the search engines. We created this graphic for Facebook and other Stonewood social media accounts when we posted a link to the “Choosing a Dentist” blog on Stonewood Facebook page. Our one-man-band team shoots and edits videos for Stonewood’s television ad campaign, dental office lobby, and social media. Need more customers? We’d love to help!